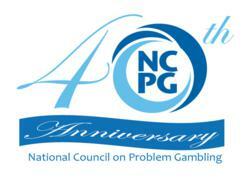 The National Council on Problem Gambling will recognize the 2012 award winners at the 26th National Conference on Problem Gambling in Milwaukee, WI on Friday, July 13. The Dr. Robert Custer Lifetime Award for Direct Service will be presented to Sandi Brustuen, Vanguard Compulsive Treatment Program at Project Turnabout in Granite Falls, MN. Sandi is a Nationally Certified Gambling Counselor with 30 years of experience in addiction treatment (the last 20 as director of Vanguard). She has not only helped many of her own clients achieve recovery, but through her writing and training has had an influence extending well beyond that program. The Custer Award is given to honor a person for exceptional long-standing achievement in the direct provision of services to problem gamblers and their families. Dr. Bill Eadington receives the Goldman Lifetime Award for Advocacy. Dr. Eadington is Professor of Economics and Director of the Institute for the Study of Gambling and Commercial Gaming at University of Nevada-Reno. In the field devoted to the academic study of gambling and gaming industries, he is the founding giant and the internationally respected leader. Bill served on the NCPG Board of Directors for 30 years, including as President in 2008, and is a longtime advocate for responsible gaming. The Lifetime Awards are only bestowed in exceptional times and circumstances, to individuals who exemplify at least twenty years of service on behalf of those affected by problem gambling. Teens Know Your Limits.org receives the 2012 Website Award. TKYL is a website hosted by the Massachusetts Council on Compulsive Gambling for teens interested in learning about problem gambling. It was designed by teens for teens and includes games, quizzes, sponsored youth programs, resources, links and links to popular social media sites. The Newsletter Award goes to Northern Light, a quarterly newsletter produced by the Northstar Problem Gambling Alliance. The content is wide-ranging and includes new research on problem gambling, “real voice” feature stories about Minnesotans in gambling recovery, updates on new training methods and profiles of prominent figures in the problem gambling field. Northstar also won the Public Awareness Award for their radio advertisement "Look Around." This message was developed by the Northstar Problem Gambling Alliance, the Minnesota State Lottery, and the Olson agency of Minneapolis. The script for this message was crafted following completion of a public opinion survey to determine what key messages had the greatest resonance with those not intimately familiar with problem gambling. Julie Hynes, Problem Gambling Prevention Program, Lane County Health and Human Services in Oregon is this year’s recipient of the Wuelfing Award for Prevention. Julie developed Lane County’s first problem gambling prevention program and website, serves on a number of state and national committees and is noted for utilizing best practices in her program design and implementation. The 2012 Corporate Social Responsibility Award goes to Ohio for Responsible Gaming. ORG brought together four state agencies to develop a powerful public service announcement and website for problem gamblers seeking help. We congratulate all of the 2012 award nominees and winners and thank them for their great work on behalf of NCPG and the problem gambling field.